Not seeing what you're looking for on our website? Call our store at 701-282-8694 and speak with one of our friendly associates or email us directly to see if we have your products available. We have a wide variety of products in store, but we are constantly adding products online, so check our website often! Established in 1976, locally-owned Creative Kitchen is the Fargo, ND regional destination for home cooks, professional chefs, foodies, & more. We love to share our with you the latest tools and upcoming cooking trends or help you carry on family traditions with classic must-haves. We specialize in cookware, cutlery, cook's tools, gifts, specialty food, linens, barware, and more! We also have wedding and event registries and in-store knife sharpening. *Holiday hours and store closings due to extraneous events are at the discretion of the West Acres Shopping Center. Find more info here. 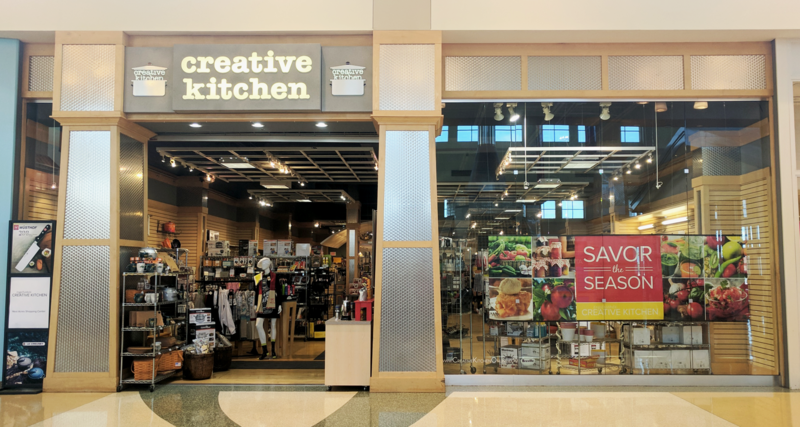 There's always something to experience at Creative Kitchen. Visit our Events & Classes page for more info about fun classes, demos, sales and more in our brick & mortar store. Kitchen knives come in many shapes and sizes, but what knives do you actually need for your kitchen at home? Read on to find out.